In the weeks since then, my estimation of the track has only increased. It’s a doozy of a run, a rare single-lap race that doesn’t repeat, but instead is a straight shot through a lengthy and varied ski-themed obstacle course. This post originally ran on 8/25/2014. I’ve made some minor edits and bumped it up now that Nintendo has re-released Mario Kart 8 for the Switch. The level is fun for a lot of different reasons—great variety, a good mix of bumps, jumps, and downhill straightaways, and it’s the closest thing Mario Kart has to an SSX snowboarding level. But underneath all that cool stuff is the music, and it’s the music that makes Mount Wario come together. 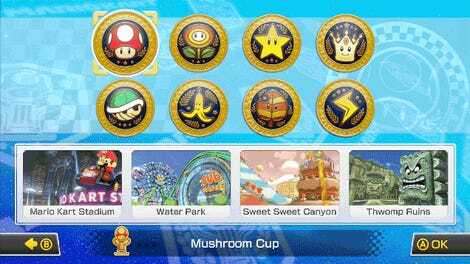 Mount Wario is easily the most popular map of the 32 included in the Wii U’s Mario Kart 8. When we polled our readers about their favorite tracks, it won by an enormous margin, carrying 27% of the overall vote. I love the track as well, and really wanted to break down why it works as well as it does. Most of the music in Mario Kart follows a familiar pattern—it plays on a loop until players hit the last lap, then it switches to an accelerated version of the same music. Rather than create a single short-ish loop, Mount Wario allowed Nagamatsu to put together a longer composition with four distinct parts, crafting a dramatic arc for the track itself. The challenge, then, must have been how to make the music line up with the race. Each Mario Kart race is a bit different, and players will cross certain points at wildly different times. If you want the violin solo to line up with the part where everyone jostles over a bunch of fallen trees, the only way to do it is to make the music transition from section to section when racers pass certain points on the map. Nagamatsu’s music is great, and worth listening to in its entirety. It sounds fine if you listen to it in one piece, but remember, simply hitting “play” at the start of the race probably won’t be optimal for a Mario Kart track as lengthy as Mount Wario. Instead, the different sections of the tune have to be mapped to the different sections of the track. And the music changes to a more dramatic, minor-keyed kinda thing. It’s the second “lap” of the track, though it’s really just the second official section. The saxophones begin this low, building riff, and soon the electric guitar joins in. Things are tense, which matches up with the level, since this is a more tense and chaotic part of the race, with closed-in caves and tunnels replacing the wide-open mountaintop of the first section. 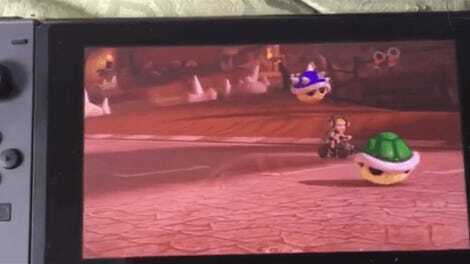 …the most obvious transition, where the “final lap” announcement music happens. Normally, this is where the sped-up version of the existing track would begin to play, but since Mount Wario is a through-composed level, we instead get a rousing grand finale. The whole band reprises the violin theme from the beginning, with a big dramatic pedal tone lining up with when the drivers hit a patch of moguls halfway down. The panoramic view of the ski chalet, the pitched dash to the finish, the cheers of the crowd, those things all combine with the music to make the grand finale feel dramatic and exciting. The first time I careened down that final ski slope, I was grinning like an idiot—it was the most fun I’d had with a Mario Kart level in ages. As cool as the musical triggers are, and as much as they add to the drama and excitement of Mount Wario, they’re still just parts of the level. Mount Wario is a terrific Mario Kart level for a lot of reasons—it’s varied, gorgeous looking, and by mirroring a downhill ski race, it has an easily understandable trajectory. It represents the peak of what Nintendo’s Mario Kart designers are capable of, and I hope that future Kart games feature many more straight-shot levels crafted with this degree of care. I wouldn’t complain about a few more violin solos, either.